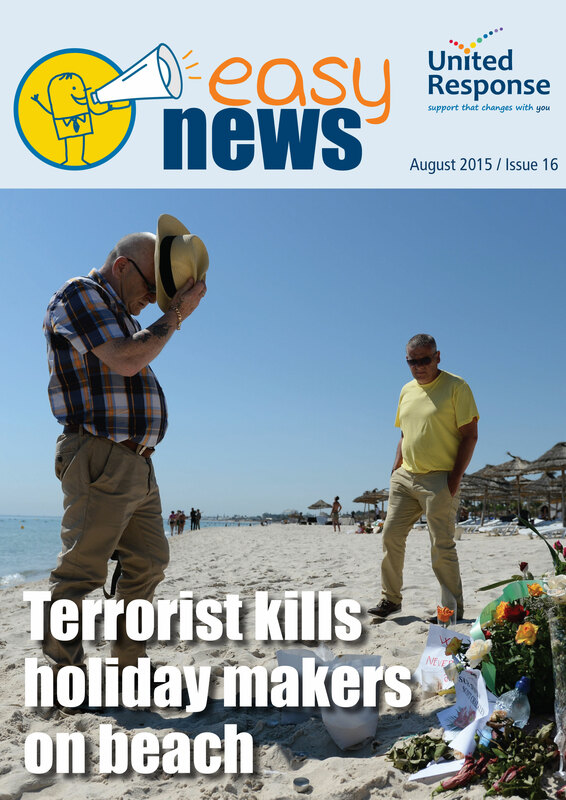 The latest edition of easy read news magazine, Easy News, is now out and this issue highlights the Tunisia terrorist attack, the latest Greek bail out by the Eurozone and the death of Cilla Black, along with a variety of other national and international stories. Easy News was launched by charity United Response in 2013 in a bid make news easier to understand for the 1.5 million people with learning disabilities in the UK, many of whom find more traditional sources of news complex and difficult to understand. “Easy News continues to provide an opportunity for people with learning disabilities, and anyone else who wants to, to learn more about what is happening in the world and how it affects us,” said Diane Lightfoot, director of policy and communications at United Response. Translated into easy read – which uses simple words and explanatory images to illustrate stories – by UR Consultants, the magazine provides clear and unbiased information on a range of events to help highlight the importance of current affairs and politics in our everyday lives. You can download the latest copy of Easy News here.